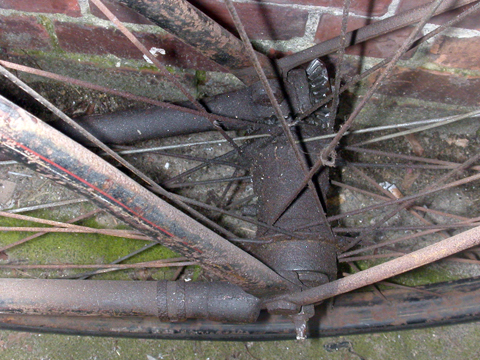 When you ride a shaft-drive bicycle these days, not many folks notice anything different about it. 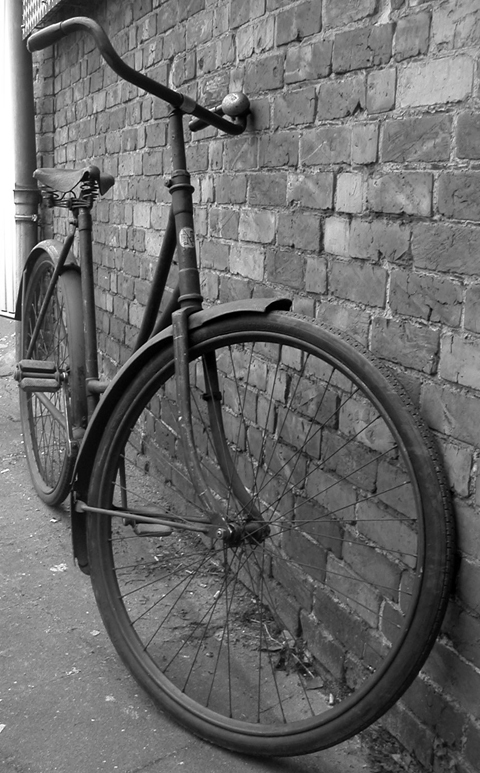 So it’s always enjoyable when you spot an observer doing a double-take, slowly taking in the fact that there’s no chain. 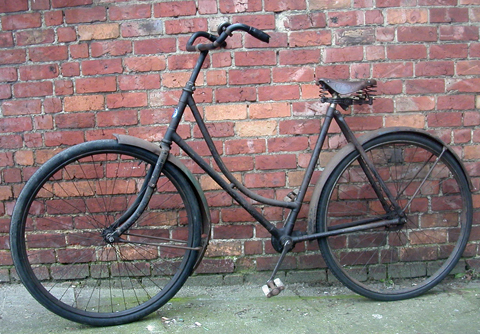 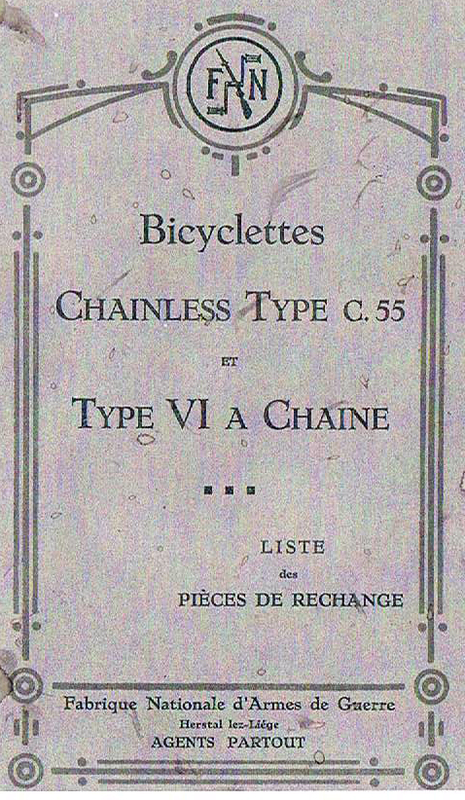 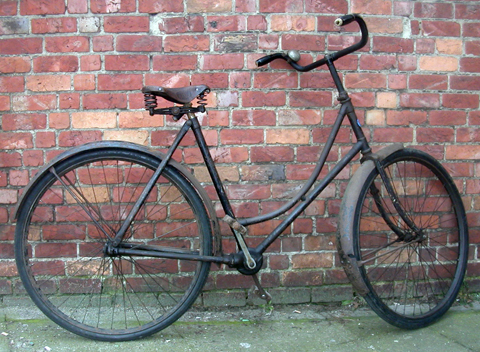 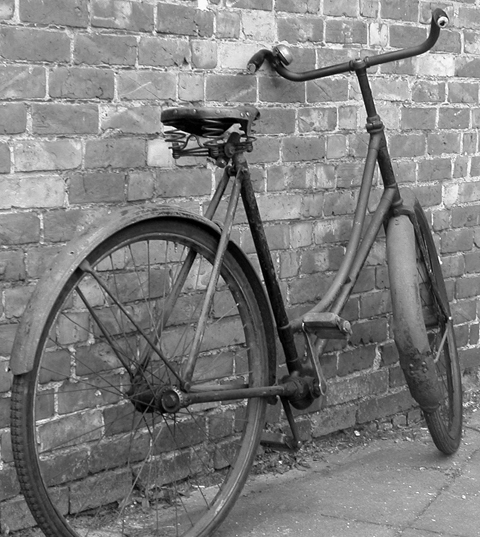 In the day, however, a chainless bicycle – the generic name was ‘acatene’ in France – was a status symbol. 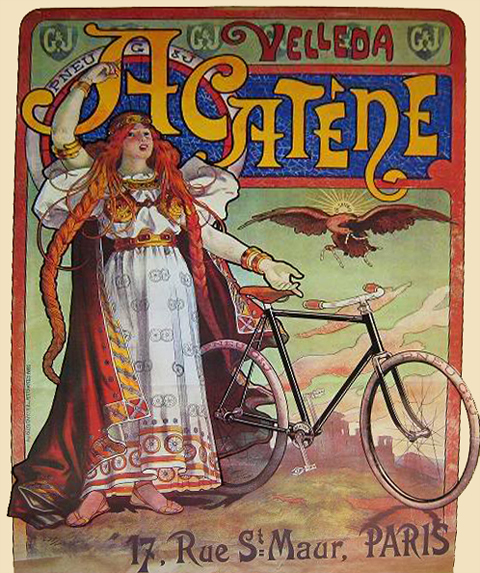 The heyday of glorious promotional colour posters coincided with their introduction in the 1890s, so the general public was familiar with them, and passers-by would definitely have appreciated the lack of chain. 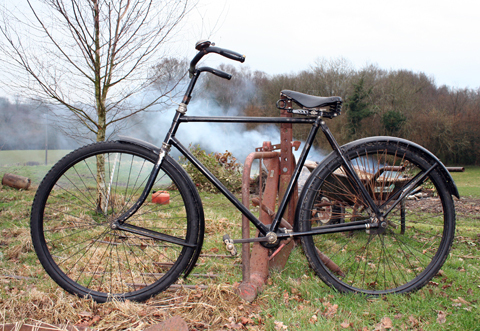 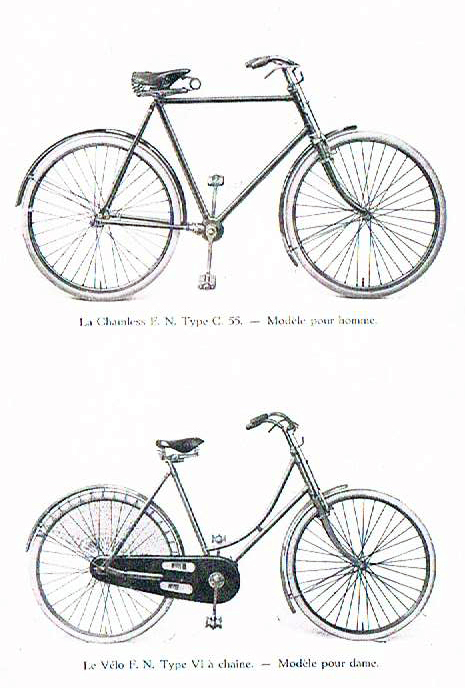 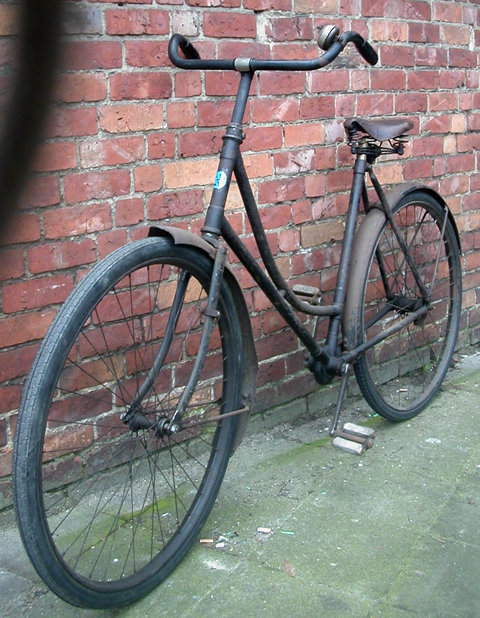 The Belgian company Fabrique Nationale (FN), already a renowned arms manufacturer before moving into bicycle production, was a pioneer in shaft-drive bicycles, influencing the subsequent development of motorcycles. 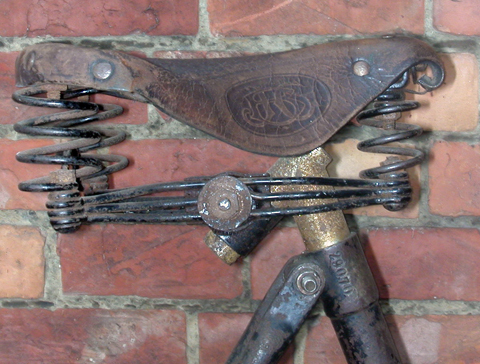 An interesting detail on this Ladies FN is the celluloid handlebar covers, which were a popular factory accessory at the time. 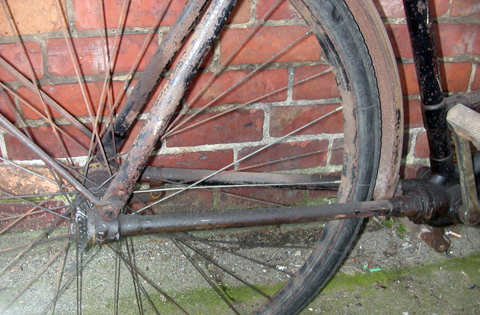 You can see it better in this close-up photo. 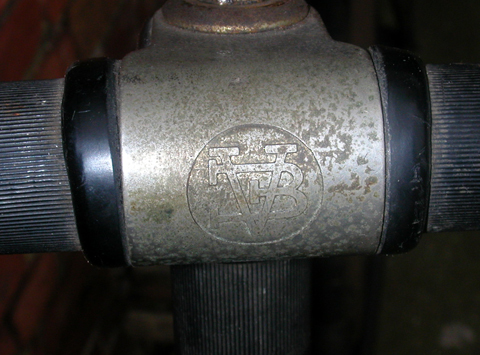 The Fabrique Nationale emblem is a nice touch too. 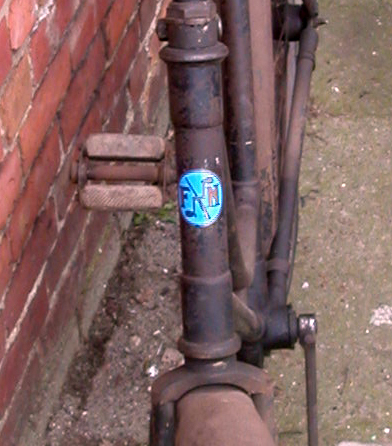 The frame number is 29070. 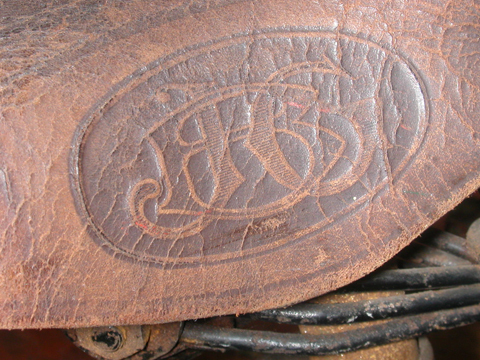 The saddle is also an FN original, bearing the company crest.